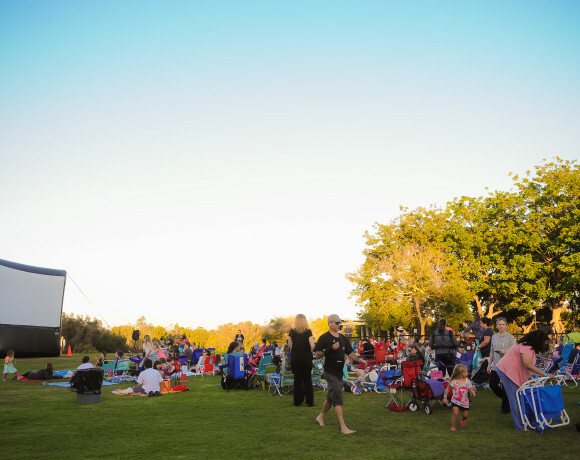 Palos Verdes Enjoys Outdoor Summer Movies! Family Movie Night featuring Disney’s “Moana” will be shown on Friday, July 28, 2017, at South Coast Botanic Garden. The evening begins at 5:00 p.m., with activities including games, Twilight Excursions & Polynesia Dancers. This is a fun event and you can purchase tickets by going to southcoastbotanicgarden.org. The cost is $9/adults and $4/children. South Coast Botanic Garden is located at 26400 Crenshaw Blvd, Palos Verdes Peninsula. On Saturday, July 29, 2017, at Rancho Palos Verdes City Hall “The Lego Batman Movie” will be presented. Children’s activities will begin at 6:30 p.m. with Electrikids. Food trucks will be arriving and serving at 6:45 p.m. The movie is scheduled to start at 8:15 p.m. This event is free and food can be purchased from the food trucks. Rancho Palos Verdes City Hall is located at 30940 Hawthorne Blvd., Rancho Palos Verdes. On Saturday, August 26, 2017, at Hesse Park “Rogue One: A Star Wars Story” will be presented. Children’s activities will begin at 6:30 p.m. with Electrikids. The food trucks will start serving at 6:45 p.m. The movie is scheduled to start at dusk around 8:15 p.m. This event is free and food can be purchased from the food trucks. Hesse Park is located at 29301 Hawthorne Blvd, Rancho Palos Verdes. For more information contact the Recreation and Parks Department at (310) 544-5260. To read my last article regarding free Palos Verdes events, click here. Photos courtesy of South Coast Botanic Garden.